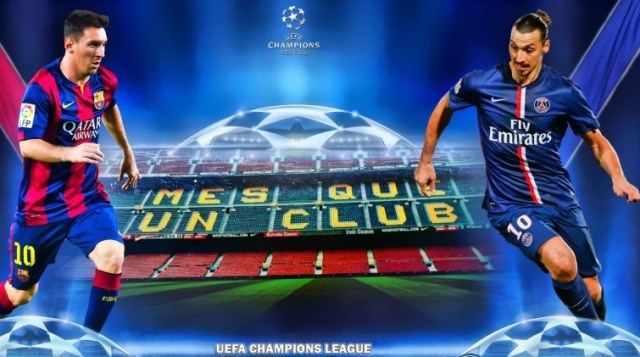 PSG will try to turn the tide against Barcelona on Tuesday night after losing the first leg 3-1. Paris Saint-Germain make the journey to the Nou Camp tomorrow evening with an impossible dream as they attempt to turn around a 3-1 deficit to the mighty Blaugrana: their 2014/15 UEFA Champions League aspirations looking all but lost thanks to a comprehensive thrashing by Lionel Messi, Luis Suárez, Neymar et al at the Parc des Princes one week ago. And it doesn’t rain but pour, it appears. In a massive blow for Les Rouge-et-Bleu; skipper Thiago Silva has been ruled out of the away leg after suffering a thigh injury in the first 45 last Wednesday. 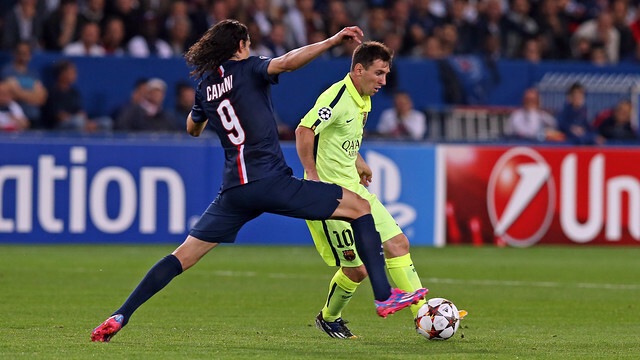 Laurent Blanc: “We were dominated in terms of the possession. When a team forces the other side to run, and forces them back, they have more chance of winning, especially when they have an attacking trio of that quality. Barcelona were very good, my players gave it everything, and we are very disappointed. Crumbs of comfort may be hard to come by for Laurent Blanc’s charges currently; but in the interest of preserving the old adage of ‘anything can happen in sport’, here are three beacons of light for the Parisians. Back having served a one-match suspension; 33-year-old striker Ibrahimović has been in devastating form of late: recently notching up 100 PSG goals and burying a hat-trick in Paris’ Coupe de la Ligue victory against Bastia. Controversial, provocative and charismatic; if PSG are to stage a magical comeback on Tuesday night, you can bet your bottom euro that the Swede will be front row and centre. French international Blaise Matuidi is a jack of all trades for Paris Saint-Germain. Capable of dropping into defence or positioning further forward as is required; the alleged former Manchester-United target looks most comfortable making runs up the left or right flank, as he did in the first leg. And he can score out of the blue; for good measure. Also returning from suspension; Marco Verratti was much missed in Wednesday’s home defeat. An exemplary passer; the lively Italian plays a vital role in the PSG midfield: most of the team’s possession starts and ends with him and when he is not available, they suffer. If allowed to set the pace and temper possession; he will create plenty of chances. Maxwell: “We knew we wouldn’t have the ball, and we had a plan, but we weren’t able to follow it. We paid dearly for our mistakes.